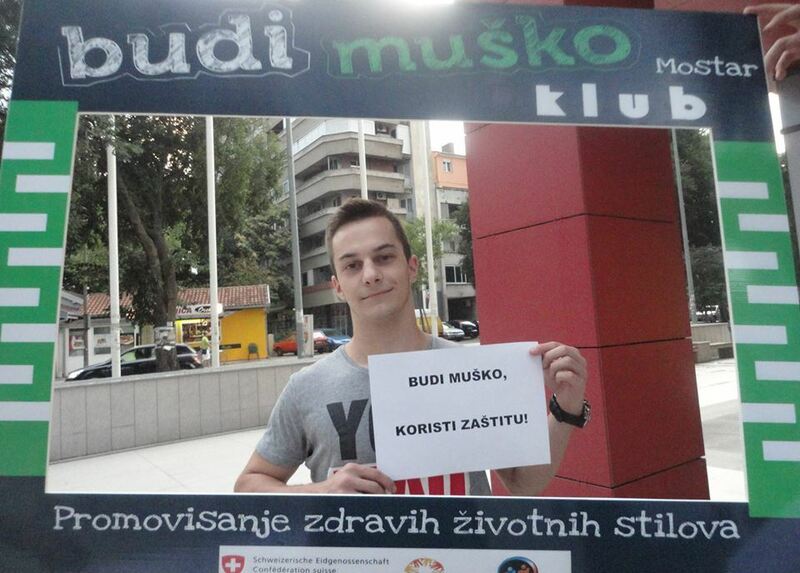 CARE International Balkans’ partner organization Snaga Mladih/Youth Power from Mostar organized an action of the Be a Man Club Mostar on the occasion of marking the International Youth Day on 12 August 2015. The International Youth Day is an event that is celebrated every year on 12 August with the aim of drawing attention to the current problems of youth. The event was first celebrated in year 2000 on the initiative of the UN and since then different actions have been organized around the world every year. 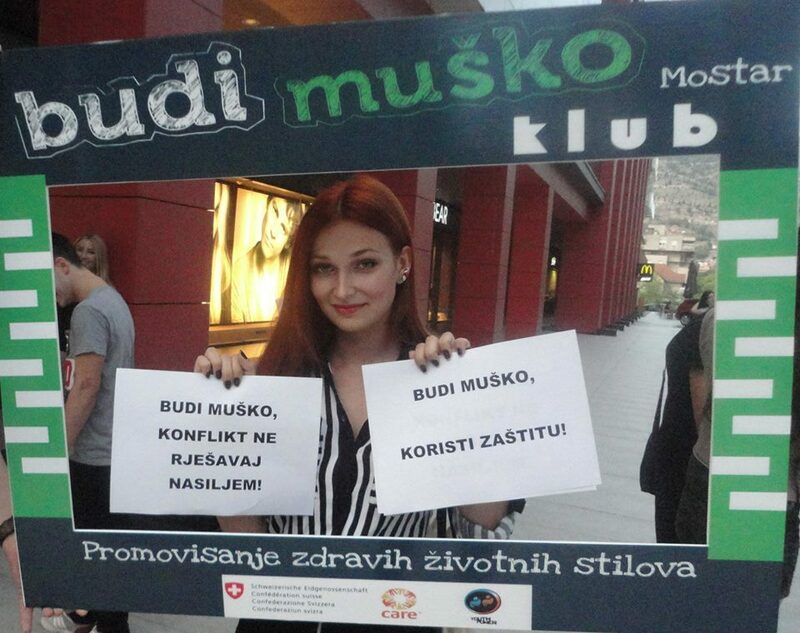 The theme of this year’s International Youth Day is the engagement of young people in civil society, and in compliance with that the Be a Man Club Mostar organized an interesting action. The goal of this action was to send positive messages from Mostar to young people around the world by writing signing on a big declaration. In addition to signing the declaration, passers-by had the opportunity to get their photos taken while holding one of the messages sent by girls and boys from the Be a Man Club. Some of the messages are: “Be a man – behave responsibly”; “Be a man – show emotions” and many others. The project is supported by the Swiss government and implemented by CARE International Balkans with local partners: Snaga Mladih/ Youth Power from Mostar, Perpetuum Mobile from Banja Luka and Association XY from Sarajevo.